The Earl of Oxford’s English is unique. It is both stuffily antiquated, as befits his rank, and slipshod, both courtly and clownish, with odd malapropian lapses. He is at once pompous and a hobnailed rustic. His linguistic profile is distinctive; it is quantifiable. Like DNA, it can be matched. There is, of course, no reason to imagine that the earl wrote Shakespeare’s plays and poetry, or Golding’s verse translation of Ovid’s Metamorphoses. The evidence against his authorship of Shakespeare—documentary, intellectual, stylistic, social, chronological, theatrical, historical—is beyond overwhelming, as absolute as anything outside of numbers can be. But if a Shakespeare needed to be sought, the earl would not be interviewed. His DNA excludes him. Oxford simply didn’t speak the playwright’s language. Nor did he speak his uncle Golding’s, despite a few shared Essexisms. Early modern writers spelled as they spoke. If a poet rhymes “strike” with “seek,” or spells the palace “Whyte Haale” and the country “Waales,” that’s evidence of how those words sounded to him: how he spoke. In print, of course, the evidence is altered. Printers often worked from eye to ear to hand, respelling as they set. Fortunately, manuscripts in holograph survive for all three poets: Oxford’s letters, Golding’s prose translation of a Latin Aesop, and Shakespeare’s additions to Sir Thomas More. By a close comparison of their orthographies, unchanged by printers, and by a study of their rhyme-words, it is quite possible to hear where they diverge. From his uncle Arthur Golding and his childhood guardian, Sir Thomas Smith, Oxford would have heard a prestigious, old-fashioned style of speech, in which gh is a consonant [x], like that in the German nicht and Nacht. Unlike those elders, but like Thomas Wyatt, elder still, the earl most likely would have rhymed behold and gold with should. The evidence is in his spelling: behowld, gowlden, showld. For Golding, the orthography is always quite distinct: could and cold. And Smith, in his book on the phonology of English, used could and cold as a minimal pair, on a parallel with bow (to bend) and bow (an arc). All three were Essex natives. Smith alone was unprovincial in his language: unsurprising, as he wrote scholarly works on the correct pronunciation of both ancient Greek and English. “Who are the architects of words[?] … In our own tongue … that shall be held absolutely pure, which is the habit of those who speak … most correctly today, and is approved by general usage” (Smith, PG, 39, 41). Both Golding and his titled nephew spoke undoubted Essex dialect: life and leaf were homonyms for them, identically pronounced as leef. In their writings, “grief” and “strife,” “alive” and “cleave” rhymed perfectly. The nephew, though, wrote broader Essex even than his uncle. His spellings show that “hall” and “hail” were alike to him: a habit deplored by one Essex-born schoolmaster as “the barbarous speech of your country people” (Dobson §104). Beyond all this, Oxford appears to have had some sort of word-deafness, neurological perhaps. He badly mishears consonants, especially in proper nouns, and bungles, drops, or adds them in. A great impediment to poetry. And Shakespeare? Spoke like none of these three Essex men. Not only has the courtly gh vanished from his speech, but he mocks those, like the pedant Holofernes, who insist on saying nekhhhbour. He himself is all for the vernacular, the vivid, the emerging native tongue. He cheerfully rhymes “enough” with “Macduff”: but he uses [f] only where others do, in laugh, cough, rough—never in ought, never with a tacked-on t. His through rhymes with do, his though with so, his thought with nought. And if Oxford is slightly defective, linguistically—a singer with a tin ear—Will is spectacular. There is nothing he can’t do with words.Smith saw English as evolving: his best and purest, he acknowledged, was the best of now, of 1568. Looking at the history of the ancient languages, he could see their growth, like orchards: blooming, bearing, withering away. Greek and Latin, he thought, each had their ages of perfection: “In their prime, they displayed all that we have that is tender, clever, sweet, elegant, pleasant, pure, and ornate” (Smith, PG, 47). He was not to know the prime of English, dying as he did in 1577. The “architect of words” was still at grammar school. If Oxfordians had any sense ( if clams could dance), they’d bury Oxford’s letters, and swear they didn’t exist. They’re absolutely fatal to the cause. But to the tin-eared tiny cult of trucklers who exalt his Lordship, the plod and dribble of his writing is celestial music. It is hopeless to argue with them on aesthetics: like his Lordship, his votaries are word-deaf. But there is less subjective evidence. These letters are clearly not written in a hand remotely like the poet-playwright’s. The one employs an elegant and lucid Italianate hand; the other, judging by the particular difficulties it presented to compositors, an imperfectly legible secretary hand. And Shakespeare’s and Oxford’s habits of spelling are quantifiably distinct. Shakespeare’s quirks are not in Oxford’s letters; Oxford’s crotchets are nowhere in Shakespeare. How do we know what Shakespeare’s hand was like? Or how he spelled? With no surviving manuscripts—save one anonymous, unpublished fragment—how can we be sure of his orthography? Forensic bibliographers, such as J. Dover Wilson, have reconstructed his style of writing from what mistakes his printers made in reading it. Looking at those editions considered closest to authorial manuscripts, the “Good Quartos,” the Sonnets, and the longer poems, Wilson could tell a great deal about the copy in front of the compositors. They were looking at English secretary hand, in which seven of the commoner letters in the English language—m, n, u, i, c, r, w—are written with minims, quick vertical strokes of the pen. Minim itself is composed of ten minims —which could, in a careless hand, be read as runic or in ruin. Where looks like when, and when like where. Now and nor can be indistinguishable. The confusions are endless. Why then, would the Elizabethans choose to write in it? Because, writes Grace Ioppolo, “That emblazoned, ornamental, and potentially subversive secretary hand is the province of men.” That exquisite, foppish, and affected hand of Oxford’s would be thought effeminate. She quotes Martin Billingsley’s The Pen’s Excellency (1617). Italic “is conceived to be the the easiest hand that is written with Pen, and to be taught in the shortest time: Therefore it is usually taught to women forasmuch as they (having not the patience to take any great paines, besides Phantasticall and Humoursome) must be taught that which they may instantly learne” (Ioppolo,178). Olivia’s “sweet Romane hand” was ladylike, unsuited to the work of writing for commercial theatre. Those for whom writing was their work traded simplicity for vigor. For example, Shakespeare’s printers read “game” for “gain” (Othello); “sanctity” for “sanity,” “the most” for “th’ inmost,” “pardons” for “pandars,” and “arm’d” for “a wind” (Hamlet); “vncharmd” for “unharmed” and “fennell” for “female” (Romeo & Juliet) (Wilson, 117). In secretary hand, lower-case e and d are often distinguished only in scale, “A few oddities may be here given: ‘end’ for ‘due’ (Son. ), ‘lawelesse’ for ‘landlesse’ (Ham. ), ‘beholds’ for ‘behowles’ (M.N.D. ), ‘some’ for ‘fond’ (Rom. )” (Wilson, 119). Besides these common findings, this particular writer of the English secretary hand had a rarer quirk: his a and his o or or could be mistaken, one for the other. In all, Wilson found that “the commonest misprints in the printed Shakespearian texts fall into five classes” (Wilson, 119). These constitute a paleographic profile of the author. And for each of these five classes, Wilson found plentiful examples in the Hand D Addition. It fits the profile excellently well. “To take a simple instance: the constant confusion between e and d in the quartos proves that the copy from which they were printed was in English script, in which these two letters are formed on the same pattern; to have found, then, that the Addition was written in an Italian hand”—like Oxford’s—”would have been disconcerting, to say the least” (Wilson, 115). Another death blow to Shakespeare denialism. Which has survived more death blows than Richard III, than Julius Caesar, more than any zombie in a horror flick. It just keeps on shambling. A cunning Oxfordian might argue that Oxford would have had all his manuscripts recopied. But by whom? Not by William Shakespeare, whom they love to imagine was illiterate. (It makes them feel so smug, poor dears.) By a series of scriveners? No: throughout Shakespeare’s career, his (inferred) hand and orthography remain remarkably consistent. By Oxford’s own playwright secretary, Anthony Munday? No: he appears in the Sir Thomas More manuscript as Hand S. Who else might have been sworn to the secret? How do we know that the spellings that we have in print are Shakespeare’s own? His texts have been transmitted through copies made by the company bookkeeper or Ralph Crane, through the eyes, short-term memories, and hands of many compositors, who tended to respell in their own ways as they worked. “But”—as Wilson observes—”even an accomplished craftsman will at times let copy-spellings through—when he is tired, or when a difficult passage confronts him which has to be spelt out. Thus, by making a collection of such abnormal spellings, it is possible to learn a good deal about an author’s orthographic habits. In any event, when in dealing with the fifteen Good Quarto texts produced by some nine or ten different printing-houses over a space of twenty-nine years, we find the same types of misprint and the same peculiarities of spelling recurring throughout, it is safe to attribute them to the one constant factor behind them all—the pen of William Shakespeare” (115). vi. ck for k after n.
In Hand D, we find banck, thanck, and thinck. This pattern strongly survives in the Quartos and poems, with the proportion of -nck to -nk spellings being 140:995. Vnckle (22), nunckle (10), banckrout, inckie, wrinckle, twinckled, ranckle, prancks. In Oxford? Not once in 82 instances. Vncle (5); thank in all its forms (22); think (47). vii. c and t interchangeable, before ion, -ient, -ial, etc. In More, we find adicion, infeccion, transportacion (3:5). Conversely, in 200 instances, Oxford never once spells a -tion word with a -cion. Indeed, he so favors t over c, that he often spells words like iuditiall and malitious with it. He has Venetian, auncient, patience; Shakespeare has Venecian, antient, pacience, and many like spellings survive in the Quartos. In the Addition, Shakespeare always (seven times) writes sealf / sealves / sealues / himsealf, as well as geat and togeather. “Sealfe-slaughter,” it seems, must have been in the Hamlet foul papers, because the typesetter rendered what he saw as “seale slaughter.” Oxford always (151 times) has self / selfe / selfwill / selues. He does, four times, write al(l)eage(d); Shakespeare once has alleadged. But those are very common spellings in EEBO. Sealfe is quite rare. i. Doubled final consonant (generally after a short vowel). Vppon appears three times in the Hand D Addition, and is not infrequent in the Good Quartos (39:477). Oxford never doubles that p, but always writes vpon or vpone (85:12). Other Hand D doubled consonants include: Beeff, Bett, Chidd, cutt, doggs, gott, letts, loff [=loaf], sett, rebells, ruff, sinn, slipp, sytt, thipp [=the hip], warrs, whett. Oxford’s use of doubled consonants is wildly uneven. He favours lett and gett; but never once has shipp in 366 instances (nearly all lordship): only ship(e) or shyp(e). He writes trios of variants like glad/gladd/glade, hap/happ/hape, or profit/profitte/profite with perfect indifference to long or short. xi. a and ai Interchangeable. In More, the crucial words straing and straingers are spelled with an ai seven times; Oxford spells all forms as strang(e), 25 times. Another unusual spelling, Iarman for German is preserved in the Good Quartos as Ierman / Iermans / Iermane / Iarman. Spellings beginning with Germ- appear seven times. To Oxford, the country is Germanie (twice). Several of Shakespeare’s most distinctive quirks in the Addition are disguised in print. To him, "sheriff" is decidedly a monosyllable: shreef / shreeve / Shreiff / Shreiue /Shreue / shrevaltry. And though it’s typeset as sheriffe elsewhere, it always scans as a single beat. His printers, it seems, weren’t listening. To Oxford, the word is sherife or sheryfe. Oxford’s employment of capital C is anything but whimsical. In addition to the usual proper nouns and titles, he nearly always capitalizes his customary closing, “yowre Lordships to Command,” along with other objects of gravitas: Countrey, Cowrt, and Coynage. The last point of difference is grammatical. You will note in those three pages in Hand D: speakes, keepes, adheres, has. What’s so special? He doesn’t write speaketh or hath. Over the course of the Early Modern English period, the third person singular ending was changing from -th to -s. Hath and doth lingered last of all in conservative writing, but even they were fading by 1600. Modern writers like John Fletcher scarcely used them at all. Among playwrights, Shakespeare was old-fashioned in his usage, but there are 29 instances of appeares and only two of appeareth in the First Folio: “it appeares no other thing to mee, then a foule and pestilent congregation of vapours.” By the time he wrote The Tempest (1610-1611), Shakespeare was using does slightly more often than doth. And Oxford? It’s appe[a]rethe to appeares, six to four. He only ever uses hath(e) and do(o)th, never has and does. Never. This is visible-from-space stylometry. If Shakespeare is a little archaic, Oxford is a fossil. So: Shakespeare’s orthography is clearly not reflected in Oxford’s own writing. What of Oxford’s quirks? Do they turn up in Shakespeare? Decidedly not. The two made very different spelling choices. Moreover, that distinction goes far beyond orthography: it’s in the very sound of what they wrote, what rhymes and homonyms and puns were possible. Linguistically, Essex and Warwickshire are chalk and cheese. Edward de Vere just did not speak Shakespeare’s language. Begin with an absolute basic: how de Vere spelled his own title. All but absolutely: Oxenford(e). Shakespeare? Never, not even when writing of that nobleman’s ancestor. There can be no ambiguity in verse: it’s a trochee, not a dactyl. In Shakespeare, you is always you. Quartos, Folio, Addition. In Oxford, it’s yow and yowre and yowres—890 times. Lekwise (as Oxford would have said), he has cowld and showld(e)and wowld(e): that first half the time, and the other two almost without exception. We’re not talking a few slips of the pen here. That’s showld(e) 125 times, sowlde once, and should(e) twice; wowld(e) 106 times, and would once. In the Thomas More manuscript, Shakespeare writes coold (2), shoold (5), woold (8)—and would just once; in printed Shakespeare, it’s almost universally -ould, with some instances of -oulde in the Good Quartos, and a scattering of -olde. Never, ever -owlde. Moreoever, Oxford overwhelmingly writes a wholly different set of words with -owld: behowldinge, bowld, gowlden, houshowlds, owlde, towld, vnfould. Like Wyatt, then, he would have rhymed “behold and gold with should” (Dobson, §169, n. 3). Shakespespeare rhymed told with cold; could had the vowel it has now (as in wood), but kept its [l]. Like many of Oxenford’s eccentric spellings, cowld / would / showld is pretty rare. Wowld in particular is vanishingly rare. In EEBO, leaving out toponyms like Cotes-wowld, it appears only 21 times in 11 books. Also very rare is his w-for-u in words like bwy [=buy] and bwylt [=built] and even bwyrd [=bird]; as well as swt [=suit], dwe [=due] and dwtye, trwe (17) and trwithe (2). U, v, and w are problematic for Oxford. He twice spells few as feve; saw as save, knew as knev, drawn as dravne, relieves as releus. Contrariwise, he renders have as hawe. The most striking oddity is Oxford’s spelling of law with half a double u as lave (34), laue, lav, lavers [=lawyers], vnlaufull, brotherinlave, owtlavrie. Presumably, the medial v was prounced as u, but laver looks particularly odd on a list with Lauenhame. The word is lawe in Sir Thomas More, and law(e) pretty much everywhere else in Early Modern English. A minority of texts have lavv(e), and a handful, lauue; but overwhelmingly, a laver is a basin, and laue rhymes with slaue. Shakespeare never uses whear(e) or thear(e), but Oxford likes to, especially in combinations: whearvpon, thearofe, thearwythe, whearas (22), whearfore (5). His spellings of “here,” “there,” and “where” run the gamut from the briefest (her, ther, wher) through to heare (which gets thoroughly entangled with he[a]ringe), theare, and wheare. "Were" is often were(e) or weare(e). Indeed, given his usage of sak for “sake,” slake for "slack," and bake for “back,” there’s no reason why he should not have spelled the Bankside playwright’s name (if ever he had cause) as Shakper or Shakespeare. The playwright always has some form of maiestie with i/j; the earl, who uses that word twice as often in a twentieth the text, strongly (4:1) prefers to spell it with a g.
Other quirks peculiar to the earl include: thresorer for treasurer (41), found once in his Uncle Golding’s translation of Caesar; the odd intrusive or excrescent “t” he favors, as in “propt and stay,” and “giue her the slypte,” and in hightnes (which turns up twice in Fair Em and nowhere else). Not to mention Wiwehole for Wivenhoe. Satisfise (18) sounds like another Oxfordism; but the OED does list it as a variant of the uncommon variant, satisfice. That latter appears in the 1560 Geneva Bible (2 Chron. 31), though never in Shakespeare. I’ll give it a pass. These are trifling freaks, however. Some of Oxford’s oddities are fundamental. 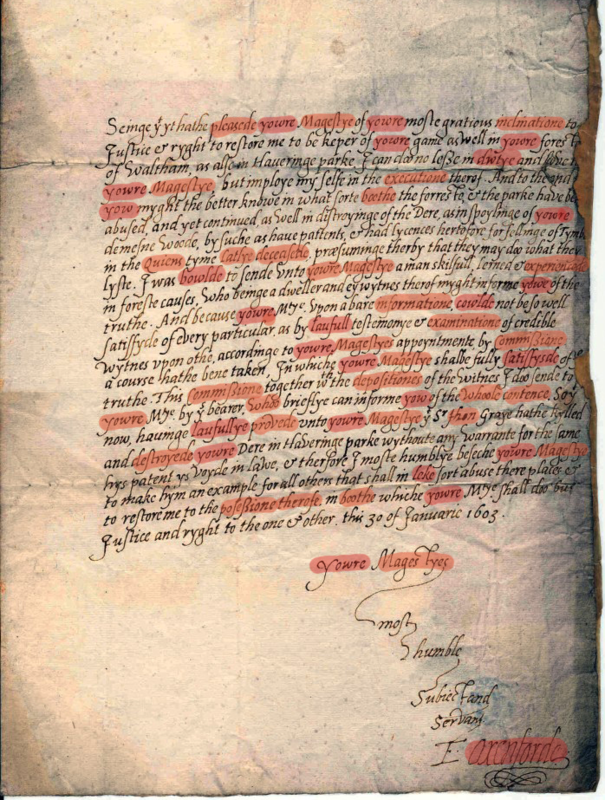 By the last quarter of the 16th century, when Oxford’s letters were being written, there was an emerging standard (among printers at least) for the spelling of short-vowelled syllables. Either sun or sunne was strongly preferred. Of course, handwritten documents vary far more in their orthography than printed books. Neither Oxford nor Shakespeare hewed to that pattern—but their choices were opposed. In the More manuscript, Shakespeare’s spelling is succinct. He will retain a silent e when it’s needed to mark a long vowel (grote, I’le, nyne), and will often dock it when it’s not: appropiat, desperat, and even (eight times), ar for "are." That same economy, perhaps, led to ffraunc, insolenc, obedienc, scilens. A terminal e will also follow dipthongs (braule, foule) and consonant clusters (patterne, sounde, kinge); almost never a simple short vowel: passe and possesse are exceptional. He likes Chidd, whett, ruff, sinn, slipp, when the far commoner spellings in print are sinne, &c. And Shakespeare’s orthography takes note of metrics: lyvd, sylenct, clothd, quelld, pleasd mark single beats; wretched, aged, detested, two and three syllables; the is elided in thipp [=the hip], tooth [=to the], thappostle. He’s writing for actors to speak. Oxford not only writes sune(s) (10) for "son(s)," but habitually adds a superfluous e to a long string of short-vowelled words, of which a very few are: slabe (5), hape (3), frome (54), whome (35), hime (2), here [=her], (1), hade (17), syxe (2), crosebare [=crossbar], lordshipe(s) (37). All but universally, he tacks an e, like a final flourish, onto verbs ending in -eth, and -ing: you might call it his callinge card He even adds a useless twiddle of an e to part participles: callede, pleasede, promisde, provede. Outside of one translation from the Dutch, where they are spelled no other way, such verb forms draw a blank on EEBO, or at most, an accidental hit or two. Often this pseudo-silent e creates a confusion: for Oxford, a star is a stare. He sees no difference between ode and odd, bare and bar, tune and tun, wares and wars, rune and run, a mane and a man. Slack is slake for him, and back is bake. The earl is notably given to spellings in -one: persones, Londone, lyone, even Ihone [=John]. (Ah well. “Some men must loue my Ladie, and some Ione.”) They outnumber -on five to one. Impositione and corruptione and suchlike spellings also prevail, 4:1, over discretion and proportion. Swelled by this surfeit, a full 32% of the words in Oxford's letters—just short of a third—end in “e.” None of these superfluities appear in Shakespeare’s pages in Sir Thomas More, where short vowels are usually marked with a doubled consonant, without an “e.” None disfigure the Good Quartos. In both those, the percentage of final “e” is a notably leaner 19%. Contrariwise, Oxford writes frutles, vngratfull, and spitfull. 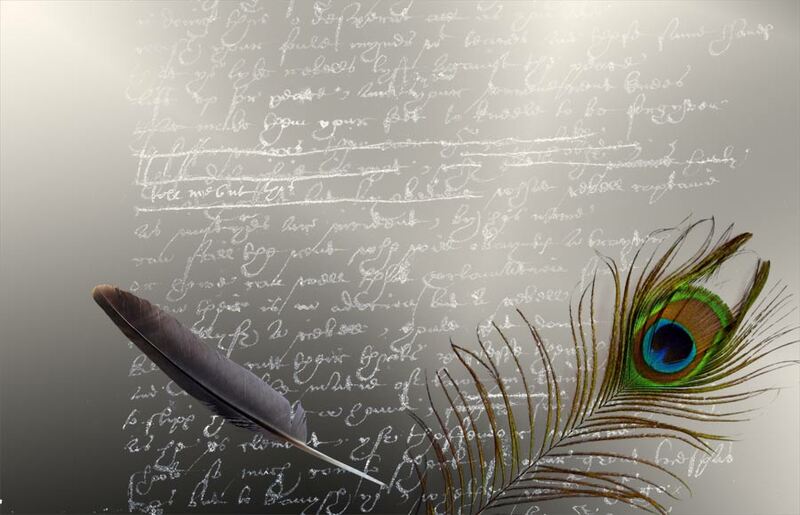 Like Shakespeare, he has desperat; but then he is equally happy to write recreat, innovat, prosecut. He simply has no notion of distinguishing long vowels from short. Seriously: “slabes of Tyne”? Oxfordians who get their knickers in a twist over Shaksper in the playwright's signatures will be delighted to learn that his lordship spells "back" as bake no fewer than ten times (though he gets backed, bakfriendes, and bakward more or less all right). Other unusual “long a for short” spellings include shypwrake, pakets, and slake [=slack, slow], though he does get make, take, and Hackne sorted out. “Short a for long” spellings also abound: abatte, datte, estatte, ratte, statte. Latte (and lattly, to confuse with flattly) isn’t coffee, but dilatory or deceased. Oxford writes whoole (17) half the time. Wrote is wroot(e), and wrott is written. Likewise, notes are like to be noot(es); hopes, hoopes; a hole, a hoole. Grote [=groat] can be groot or grotte. His oo also appears in adoo, doothe [=doth], woordes (all common in the period); and more remarkably, in broother, coorte, cooffers, woorldlye. How he said them is anyone’s guess. Unlike Shakespeare in the Good Quartos (there happens to be no equivalent in Sir Thomas More), Oxford tends to spell "block" as bloke (19:7), "stock" as stoke (23:1), and uses [n] “of the cloke” three times. Shakespeare favors “a clock(e)” to “of the” (12:3). To confound things further, "look," overwhelmingly, is loke (34:2). Oxford has floke, moke (though also the marvellous mocquerye), and cokescombe. The closest Shakespeare comes to that last is the splendid Aphricokes. All of these -oke spellings are uncommon elsewhere, though bloke does appear once (and wrott twice) in Thomas Churchyard, another of the earl’s servants, and “at [n] of the cloke” occurs four times in George Talbot, sixth earl of Shrewsbury’s letters to his wife Bess of Hardwick. Now there’s an appalling secretary hand—like an apoplectic hen. Oxford’s letters are choke-a-bloke with these oddities that aren’t in Shakespeare’s texts. Some, all but invariant with him (like wowld) are strikingly unusual elsewhere. They are damning in aggregate, certainly—but what do they reveal about his dialect? So haphazard is his lordship’s spelling, that when he sticks to a spelling, as he does to wowld and its cluster of rhyme words, it is best to pay attention. Why would Oxford have spelled his great obsession, the base metal mined in Cornwall, tyne? Not once or twice, but 146 times, including tynemaster. This is all but unique. I can find only one printed use of tyne for the metal, from 1503 (”custum and subside of tyne”).3 Shakespeare never mentions tin—not once—but in his printed works, its rhyme words are spelled chin or chinne, pin or pinne, and in the More manuscript, sinn. In EEBO, most apparent returns of syne [=sin] are actually syn̄e with a macron, shorthand for synne. But Oxford used no macrons in his elegant italic hand. Tyne is what tin is called, its name: as his is Oxenford. Did he pronounce the word to rhyme with myne, inclyne, lynes, nyne, shyne, wyne? (As they appear in his letters.) How about with betwyne [=between] or byne [=been], which he also spells beene, ben, and above all, bene (79)? As now, been is a special case: it could rhyme with seen or sin, depending on stress. Hand D writes bin. In Lucrece, just once, it rhymes with sin; elsewhere in Shakespeare, with seen. But never, ever with myne, which in ordinary EME was spoken something like “moin” [məɪn]. Could this be an Essex-ism? Oxford uniformly wrote “oft” or “ofte” for ought. … He often put a “t” (sometimes “th”) at the end of "although", "enough", "though", or "through". He also put a "t" at the end of "prop", spelling it "propt"; similarly, he wrote "slypte" for "slip", and "hightnes" for "highness". He usually spelled "satisfy" as "satisfise". ... His spelling of like in almost all forms as "lek" and his spelling of liklihoods as "leklywhodes" and falsehood as "falswhood" reveal e-for-i and wh-for-h substitutions which are fully characteristic of the East Anglian dialect - Oxford spent his formative years in Essex and Cambridge. Clearly, Oxford habitually spoke a dialect recognized by contemporaries as provincial and even as rustic (Nelson, Oxspell). With the greatest respect for Nelson’s scholarship, I cannot see this collection of peculiar habits as a full-blown dialect: for one thing, no one shares it. This is an idiolect—Oxford’s own weird individual language, made up unequally of archaisms, eccentricities, uncouth provincialisms, vulgar errors, word-deafness, slipshoddiness, and—in one or two crucial elements—true East Anglian pronunications. Call it Oxish. What it lacks is the verve and inventiveness of true dialect. Only two of these writers are East Anglian, Nashe and Harvey. Their counties of birth are, repsectively: London (of Shropshire decent), Suffolk, Essex, Hereford, and Kent. Not one could be described as clownish. This is mere orthography. The w is silent; often the h was as well. Whom, whore, whole endure as standard English; whood, whot, and whoord have vanished. Oxford’s only wh-for-h spellings are the hapax legomena leklywhodes and falswhood. Yet again, he’s linguistically off-key. All other instances of whood are speaking of the garment hood, or of the outlaw named for it, or of the fishing village named for him. The suffix, as in manhood or maidenhead, is etymologically unrelated to that noun.6 Nowhere else on EEBO is there a similar construction. Zero hits. Even Bale, a frequent user of wh- words, always writes some variant of falsehood or falsehede, scores of times. Most probably, Oxford’s leklywhodes and falswhood are noncewords, his own invention. Oxford likes to tack a t or even a th on the end of -ough words, which he somewhat prefers to spell -owgh: allthought and inought and althoth, thowght [=though] and throwght [=through]. Superfluous letters are a thing of his. Remember hightnes and Wiwehole? Propt and slypte? These are idiosyncratic. Others may have spoken like this; possibly such usages appear in other letters. There are none in print, essentially. No one at all in the EEBO database uses althoth. Andrew Boorde alone has althowth (and his own variation, althowh). He and one other writer use althowght, once each. Hightness appears only in Fair Em. Most likely, these few instances are printers’ errors. Needless to say, none of these crotchets are Shakespearean. Could they be East Anglian? Those do sound like Oxfordisms, as do the corruptions of legal Latin Forby collected in East Anglia: Cessarary for Certiorari, Hoxy-croxy for Oxycroceum, Primminery for Premunire. Shades of fyre facias! This evidence is merely suggestive, being two centuries too late; but geographically, it seems to be spot on. Sadly, it’s not. It’s ubiquitous in the vernacular. It is natural to follow certain consonants with an extra little tongue-tap, voiced or unvoiced. So an excrescent [d] will often appear at the end of a word, particularly after l and n; an excrescent [t], after n or f or p. Early moderns, who wrote as they spoke, spelled these out. Shakespeare wrote vild for vile. So did Oxford. So did thousands. Likewise, the bard is unremarkable in writing swound for swoon, visard for visor, riband for ribbon, margent for margin, talent for talon. Allhallond-Eve is lovely. Milkesopt, which resembles Oxford’s propt and slypt, appears in the Quartos of Richard III, without and with the comma that would make it adjectival. Otherwise there is no common ground. Excrescent [t] (as in slypt) can only follow a consonant, as a stumble comes after a step. The lips and tongue must be moving. But Oxford’s personal excrescent t and th seem usually to follow ough and igh, which is phonologically implausible—unless gh is pronounced as a consonant. In fact it was, up through Spenser’s time and beyond: [x] is a rasp in the back of the throat like the “ch” in “Bach.” But the language was evolving. In some words, the “gh” vanished entirely, all “but the breathing ... in Sigh” (Price, 18); in others, it was pushed to the front of the mouth as [f]7 or even [p]. Think: dough, tough, hiccough. (Ough! That tetragraph is a pitfall for learners.) And [f] is one of those phonemes that tends to acquire a [t]: “graft” (in gardening) began as “graff.” For Oxford, ought was oft(e), as he invariably spelled that word. He also spelled "although"and “enough” with an final t. “Through” was often throught (and just once, throw). He thoroughly confused “though” and “thought.” It would reasonably appear that he also said throft and thoft, and maybe spoke of slafter. Rough was ruf(e) to him; and as [f] leads naturally to [t] in careless speech, there’s a good chance it was also ruft—or in Oxish orthography, enough was inought. Certainly, prestigious speakers in the 16th century said awKHt (Dobson, §424). “In words like laugh, cough, rough [x] ‘was the normal pronunciation of good speech’ until the seventeenth century” (Minkova, 114). Using [f] instead of [x] arose, “not in … in educated StE [Standard English], but in dialectal and vulgar speech” (Dobson, §371). “The latter ‘mishearing’ was ... socially stigmatised” (Minkova, 114). Where would the Earl of Oxford have acquired such an accent? From “barbarous nursses, clownish playing mates”9 in early childhood? At Cambridge? Unlikely, in the few months he resided there. Clearly not from Sir Thomas Smith, who wrote that the boy viscount was “brought vp in my howse” (Nelson, 25). Smith was indeed from rural Essex, the son of a sheep farmer near Saffron Walden. But he was, beyond that, a scholar of languages and an orthoepist, one who sought the reformation of the English language: proper speech spelled rationally. In short, a Tudor Henry Higgins. In his De recta et emendata linguae anglicae scriptione dialogus (begun in the 1540s, but not published until 1568), Smith likens the sound of gh to a “rough breathing” in Greek—a harsh huff of air—and spells it h (Smith, 109). Nearly all scholars interpet this as [x] (as in Nacht), though Roger Lass argues for a less aggressive consonant, [h]. His contemporary John Hart writes that [h] “hath no sounde but as you would blowe to warme your handes” (Lass, 117). Smith prescribes ouht—with a rasp or a huff—as the correct pronunciation, along with nouht and souht, niht and sih [=sigh]. He does not record vulgarities like rough with a [f], though he does admit laf as a variant. Cough is still cöuh for him. Like is to be pronounced lïk and leek, lëk. Long i and long e.
The wonder is that Oxford came out of that well-spoken household with an unreformed accent. It must have been ineradicable, like a bad case of linguistic adenoids. Is “oft” East Anglian? Not specially. It turns up everywhere from Gammer Gurton’s Needle (1575, Cambridgeshire) to Tom Jones (1749, Somerset), where the landlady also says “thoft” for “thought.” A tiny handful of instances occur in passing, unmarked as provincialisms: they include one from Geoffrey Whitney’s A Choice of Emblemes (1586); another from Robert Greene’s Orpharion (1599), playing on “so oft”; a third from a lurid murder pamphlet by L.P. (1641). Never more than once in a book. It’s not in Edgar’s assumed Mummerset in Lear, or in Jonson’s north-country dialect scenes. By the mid-seventeenth century, the guttural in ought and thought had vanished. The populace had voted with their tongues. Price laments that “Since we left of[f] speaking from the heart, we cannot (as our Ancestors did) rightly pronounce these words from the throat” (Price, 19). Ben Jonson dismisses it. “Gh. 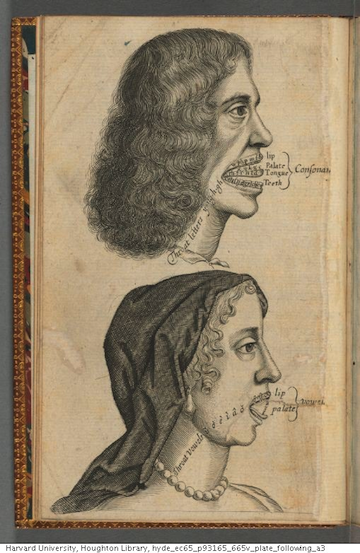 Is only a piece of ill writing with us : … for the g sounds just nothing in trough, cough, might, night, &c.” Even in the 1590s, [x] was beginning to seem precious, the affectation of a dwindling group of quibblers and prescriptivists. Shakespeare mocked them in the figure of the pedant Holofernes: “such rackers of ortagriphie, as to speake dout fine, when he should say doubt; det, when he shold pronounce debt; d e b t, not det: he clepeth a Calfe, Caufe: halfe, haufe: neighbour vocatur nebour.” That’s nekhhhbor, with plenty of juice. It doesn’t rhyme with tabor. Shakespeare himself was a racker of orthography, a speaker of new English. In Shakespeare’s Pronunciation, Helge Kökeritz notes spellings like hie (high), lyte, nabored, slow (slough), shipwrites; and observes that the poet rhymed “ bough with now, though with so, through with do, ensue ... and that white could pun on wight. In other words, Shakespeare’s usage was quite modern” (Kökeritz, 306-7). As he spoke, so he spelled: by ear, confusedly. The sinking of the consonant gh created orthographic turbulence. If oft spells “ought,” then surely “out” is ought (12): ”withe ought dissemblinge.” And therefore, “doubt,” which rhymes with it, is often dought (10)—when it isn’t dout or dowt—and he writes of his daughters as doughters (5). This is vndoughtedly linguistic backwash. It is merely vulgar to say “handlinge ... ruflye” or "throw" for “through,”10 but to put an alien gh into words that never had it, is a peculiar form of hypercorrection. As the OED notes, “The spelling ... dought, arose from the spoken identity, which per contra caused doughty adj. to be spelt doubty.” Spoken, mind you: this is not an orthography he would have seen in print. “Dout” and “dowt” are rare in EEBO, and “dought” is rarer still: perhaps one or two in a thousand books have some form of it. Etymology was clearly not a study of the earl’s. Any bright grammar-school boy could tell you why the “b” belongs in “doubt”: “Dubito, aui, are, to be in doubte.” A scholar might have known that "gh" is alien to words derived from Latin. No Anglo Saxonist would ever confuse out < ut with ought < ahte. There’s a mad belief that the adolescent Oxford studied Beowulf with Laurence Nowell. This gaffe alone puts paid to that fantasy. That’s one silver bullet. Fire two. This is archaic. In Middle English, leek (Fluellen’s badge) could be spelled like, and like, leke. "Leke" with a long e was properly pronounced as [le:kə] (lehk-uh, more or less); "like" with a long i as [li:k], to rhyme with “seek.” But around 1400, English began to undergo a metamorphosis, a process known as the Great Vowel Shift. Long i became a diphthong, still evolving in 16th century and beyond, but like was roughly “loik.” In IPA, that’s [ləɪk]: exactly the diphthong that Groucho Marx uses in “circus.” Leke was no longer a plausible phonetic spelling in most parts of England, but a legacy. It’s not uncommon in the 15th century, in the early stages of the shift: notably in the Paston letters (Norfolk), but also in the Stonor letters (Oxfordshire), and in Caxton. In EEBO, I can find it in incunabula, and then in dwindling instances, down to the 1560s. Only John Walton’s 1410 [!] translation of Boethius, first printed as The boke of comfort (1535), uses leke exclusively, as Oxford does.11 Here and there in the 16th century, an author will use leke once or twice, and like or lyke everywhere else. Sir Thomas More himself, in 1533, for example, has lekelyhedes just once, and forms of lyke over 100 times. 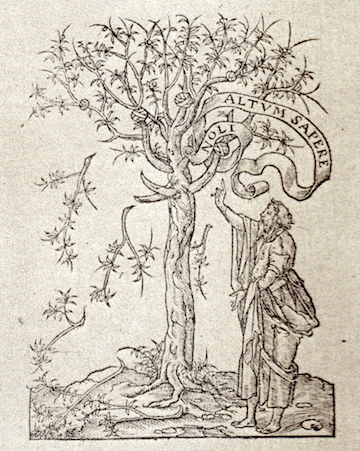 Andrew Boorde (Sussex), in The pryncyples of Astronamye (1547? ), uses leke six times overall, but lykyned ten times in the “fyrst capytle.” Just about the last handful of uses of leke in print are in Matthew Parker’s metrical psalter (1567? ), where he needs it for the rhymes: Greeke, kepe (ouch! ), and seeke. Unlike Oxford, those few published writers who use leke are careful to retain the long vowel with suffixes. Walton has lekenesse and lekely and lekelynesse. A Sussex-born12 translator, Thomas Stapleton, who favors leeke(e), naturally has leeklyhood and leekwyse. Oxford is unique in using lek; only a handful of printed texts have mekly or meknes, all but one of those by 1550. Why would Oxford use this antiquated spelling? Because for him, it was phonetic. There’s no doubt that Oxford wrote as he spoke—where on earth would he have seen such orthography? "Orientis partibus adventavit asinus ..."
Easterners, he writes, say feer for fire; kivver for cover; something like deance for dance; vellow for fellow; zay for say. (Nothing here about wh-for-h. ) Further, he disdains a certain class of speakers in that region: hyper-affected, “chirping” minxes that he calls the Mopseys. Not only is this dialect East Anglian, but it’s distinct from that of Suffolk and Norfolk. On close analysis, “Gil probably has in mind Essex English” (Ihalainen, 200). None of items two through five are discoverable in Oxford’s surviving orthography. He may well have said kivver, but written it as cover, because that’s how kivver is spelled. But that first item is crucial. “In the eastern dialect fire has a long monophthong i: rather than a diphthong which probably represents [əɪ]” (Ihalainen, 200). In other words, fire is "fear" in Oxford’s native language, and like is "leek." And indeed, some three centuries later, a local historian of Wherstead, Suffolk (less than a day’s ride from Hedingham), could write: “’Mice,’ ‘lice,’ ‘hive,’ and ‘dive’ are in East Anglian ‘meece,’ ‘leece,’ ‘heeve,’and ‘deeve.’” In the Linguistic Atlas of England, mapped from a survey done in the 1950s, locals round about Hedingham (that pink dot) were still saying "meece" and "leece." That’s Chaucer’s pronunication—what we’re hearing is a Great Vowel that hasn’t shifted. And it all falls together. Looking back again at Matthew Parker, who was born in 1504 in Norwich, I see that he not only rhymes leke with Greek and seeke; but lyke with seeke and strike; alyke with eke (twice); vnlike with dyke. If Gil is right, all these are perfect rhymes, all the same vowel. Oxford’s archaic leke, then, would be pronounced exactly as spelled, to rhyme with "seek." His pattern is clear enough: aslepe, bene, chepe, clere, dede, deme, fyftene, here, kepe, nede. Furthermore, in his orthography, e and i/y are fully interchangeable. He renders "weeks" as wikes, "methought" as my thowght, "befooled" as byfolde; betwene is equal to betwyne. Beene and byne are the same word to him. Logically then, he would have said "mean, ween, sheen" for myne, wyne, shyne. And what of tyne? There’s a clue in the 1559 will of one Robert Hoope, which lists “Beades of Teenes.” Hoope died in London, but I’ll bet he was an Essex man. Look at Oxford’s verses titled “Wing’de with desyre.” In lines 14 and 16, he rhymes releife and greefe; then in lines 25 and 27, greef and stryfe. This is egregiously unlike standard Early Modern English—so much so that Steven May cannot accept it. He comments that “The imperfect rime here suggests a corrupt reading” (May, 75). But in Oxford’s Essex accent, the rhyme is perfect: [gri:f], [stri:f]. For Shakespeare, loynes and lines are homonyms: he plays on that here, as Oxford never could. If the earl had had any gift for wordplay—none is evident—he might have punned on “fatal lines” and “fatal liens.” Those he knew about. If Oxford were to write as “Shakespeare”—leaving aside all other temporal, spatial, intellectual, and social paradoxes—he would need to hold two incompatible systems of orthography in mind, two dissimilar accents, with their different assonances, rhymes, and quibbles. He would have to keep them utterly distinct: never let Shakespeare’s hand or mind appear in Oxford’s letters; nor let the Essex marshes seep into the plays or poetry. He would have to speak two languages. And if the man could write like Shakespeare, why did he go on, for decade after decade, writing like Oxford? Oxford came by his dialect quite naturally: his uncle Arthur Golding (his mother’s half brother) was a thorough-going Essex native, of Belchamp St. Paul and Halstead. Throughout Golding’s body of work, his spelling and his rhymes reveal East Anglian pronunciations. By looking closely at this work, it is possible to determine which elements he shares with his nephew—their common dialect—and which are idiosyncratic. Oxford’s cult believes that the boy earl was (wholly or in part) the true secret author of his uncle’s celebrated verse translation of the Metamorphoses, the book known as Shakespeare’s Ovid. The nephew was 14 or 15 when The Fyrst Fower Bookes (1565) appeared, with a crawling dedication to the Earl of Leicester 13, and 17 when the full text was published: a prodigious genius, in their fairy tales. This fantasy can be dismissed. A look at Golding’s and Oxford’s spellings in holograph reveals two very different styles. Fortunately, there exists an entire book of Golding’s in his own hand: a translated collection of Aesopian tales entitled A Morall Fabletalke. A comparison of the Aesop manuscript with the Ovid text reveals that Golding’s spelling choices are distinctive and consistent: not only between those two books, but across his oeuvre, despite his many publishers. These forms are rare to very rare in EEBO; they are nonexistent his nephew’s letters. Undoubtedly, the spelling in Metamorphosis is Golding’s own. Shée felt them trée: her brest was trée: her shoulders éeke were trée. Her armes long boughes yée myght haue thought, and not deceyued bée. This looks like a simple long e. And yet Golding freely interchanges it with y or i. On one page he wishes that his translation “may Bee lyked’; on another that “My hand byléeke [=belike] is weakened.”14 He rhymes fatherleeke (elsewhere fatherlyke) with méeke and séeke; then léeke [=like] again with séeke, and in the very next line, stréeke, which here means strike: “the dart of Loue did stréeke.” Shrieke pairs up with lieke. Yéeld rhymes twice with “méeke and méeld” [=meek and mild], which elsewhere (just once) he spells myld. Alyue is paired with words like fiue and stryue, but also with clyue [=cleave], both in Metamorphosis and in Abrahams Sacrifice. Pise, which ought to be a homonym of peace15, rhymes with lies. And séely (innocent, blessed) is more often sielie. Clearly, Golding pronounced both vowels, long i and long e, as [i:], exactly as Alexander Gil observed. He is one of the Orientales. Four hundred years divide Golding from those Essex farmworkers who were recorded in the 1950s, yet they speak the same rustic tongue. 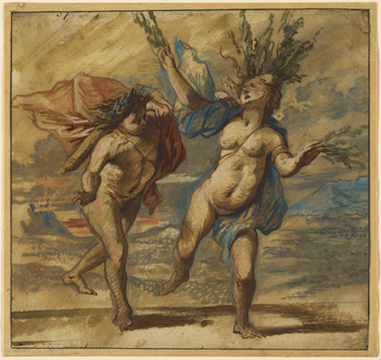 Golding spells that same word myce in his Aesop holograph; but also writes shryking [=shrieking], wrythes [=wreaths], and bycawse [=because] (16). However he spells it, myce still rhymes with "geese." One of Gil’s hallmarks of an Essex accent is not discernible in Oxford’s letters: “ kiver, pro kuver.” It may perhaps be heard in Golding: “a bed of downe with kéeuerings blacke.” But another trait, unmarked by Gil, may be. 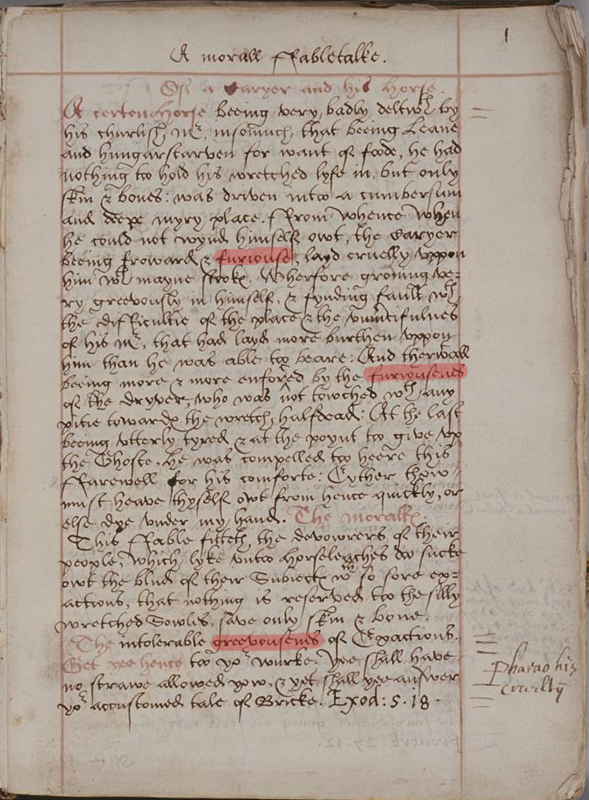 His uncle, both in manuscript and in print, writes of enemies “at deadlye foode” [=feud]. Thomas Phaer, born in Norwich, uses that same spelling, rhyming it with stoode. Golding consistently has howge (7 times in manuscript, 36 in print) or houge (32) for "huge." Could this be an early example of East Anglian yod-dropping? (Yod is that y in yoooge.) In the modern dialect, an East Anglian might say, “Only a foo left, but hooge and bootiful.” Could Oxford’s accent account for one of his clangers, impodent for “impudent”? Or has he merely confused it with “impotent”? As a misprint, impodent does once appear in Lyly’s Euphues and his England (1580), which is dedicated to his “Lord and Maister, Edwarde de Vere.” Lyly would, of course, know the Latin derivation of the word from impudens; Oxford, quite probably, would not. And impodently, impodent is what he seized on, what he writes. Impodentie seems to be his lordship’s lunge at impudencie. He missed. It is striking that, of the very few other authors using howge or houge,17 one is John Bale (of Suffolk); another, Richard Eden, who was born into a family of East Anglian cloth merchants; and a third, an eyewitness pamphleteer describing “. XVII. monstrous fishes, taken in Suffolke.”18 Seventeen! And prints of W[h]ales! Is this a clue to Oxford's birth? Or driuen away, tell what he was and where they may be vownde. And I chill gethée [=will give thee] vor thy paine an Hecfar [=heifer]. And the yokel, about to be toast, replies: “Cham zure [=I am sure] they are.” In Book 11, “Pelyes herdman” also speaks in this style. It may be that Golding drew upon the quaint speech of the countryfolk around him; or that he simply used off-the-peg rustic dialect. Oxford, then, may well have pronounced fire as Vere. But before Oxfordians get all dizzy with joy at the prospect of more hidden signatures—“O vor a mooze of Vere!”—they should recall that saying this would mark his lordship as a yokel. So much is authentically East Anglian. But aside from their common accent, their spellings diverge. Golding does not share more than a few of Oxford’s eccentricities, which are unplaceable. All but uniquely in EEBO, they both share a habit of writing w for u after consonants: bwy (buy) and bwylt (built) or bwilded (dwe, swte, and trwithe are Oxford’s alone); to which Golding adds bwisying, gwyle, disgwysed, gwydance, and gwest. Never in his Ovid, though. In his printed work, wowld appears just once in over 8300 instances. In holograph, he does have wowld four times out of 35, but cowld and showld never. Overwhelmingly, he spells -ock words conventionally—mocked, stock, block, cockatryce, havocke—but just three times in Aesop, and once in Metamorphosis, he does write -oke: Peacoke, Puttokes, bare buttokes; yellowe lokes. I wouldn’t call either a signature spelling. As for [x] after back vowels, Golding’s speech seems fully Holofernian: he rhymes rough with through and plough; tough and ynough with bough; laught [=laughed] with naught and straught [=distraught]. But the nicht vowel [ç] appears to have vanished. “Light” and “bite” now rhyme in his dialect, as he reveals by his strong use of inverse spellings: quyght, whyght, wryghting, spright. Roger Lass notes that these “precursors” of modern speech begin to appear in late Middle English, “particularly in East Anglia” (Lass, 116). It is not surprising then, that Oxford randomly has wright (7) or wrightinge (9), and once has aquighted (“acquitted”). But his uncle uses these spellings consistently, above all, as rhyme-words: quyght clinches a couplet with knyght, where quite perhaps would seem light-footed. And in a poem written to advance our native tongue, what could better celebrate Englishness than our unique and maddening gh? Never, ever does Golding write ofte for ought or ought for out. There are no excrescent ts on -ough words; though, like Shakespeare, Golding writes of a bird’s “hooked talants.” No satisfised. Like writers from counties all over England, he spells hot with a w: whot Porredge. Unlike his nephew, he writes of falshood and falsehod, of woman-, child-, man-, and maydenhod. Nor does Oxford share Golding’s rarer quirks: in his holograph Aesop, the older man overwhelmingly prefers to spell the adjectival suffix -ouse or -owse (104), not ous (18): greevouse, vayngloriouse, owtrageouse, boystousebodyed. That spelling is also exceedingly frequent in his printed works: rightuouse alone (with a final e, but otherwise in all its variants) appears hundreds of times, above all in his translations of Calvin on Job, and of Benedetto da Mantova. In his letters, Oxford uses -ous (39), plus once each -oues, -owes, -ows. Golding strongly favors leawd, beawtye, deawlappis, shreawder, feawnesse, eawes; Oxford has lewd, few, new. Likewise, Golding has boawe [=bow], ioawles [=jowls], moawer [=mower]. Oxford has no comparable spelling. Two very unusual spellings of Golding’s are boay (10) for "boy" and cloyne (10) for "clown." Oxford has boij. He sends in no clowns. But there is a more fundamental difference between the uncle’s and nephew’s spelling. Golding habitually indicates long vowels by double letters: wée, bée, shée; twoo, doo, intoo. Far more unusually, and only in verse, he will sometimes write aa for long a: naakt [=naked]; scaald [=scaled]; amaazd, faast [=faced]. Save for a handful of names (Dianaas, Philomelaas), chaast [=chaste], and oddly, maast [=mast], these spellings mostly form contrastive pairs. Golding will use naked when he needs a trochee, or naakt for a single ictus, with the double aa replacing a deleted silent e to preserve the long vowel. This quirk appears only in his Metamorphosis, and there, only in the introduction and books v through xv, as if he’d had the idea part way through his translation, after he’d published the Fyrst fower. He could have found this mode of spelling in Thomas Phaer’s translation of The fyrst nyne books of the Eneidos of Virgil (1562), where amaasd and blaasd, vpfraamd and naamd appear. Phaer seems to have started a small fashion. Barnabe Googe has laamd in his Eglogs (1563); T.N., a student in Cambridge who translated Seneca’s Octavia (1566), has baarde and vouchsaaft; Twyne, who completed Phaer’s translation in 1573, adds a few like spellings of his own. Ten books of Homers Iliades (1581), translated from the French by Arthur Hall, has “daald dastards” (whatever that means) and raase. The anonymous translator of Seneca his tenne tragedies uses a score of such spellings: haades, aare, spaarde, baarde. And Richard Stanyhurst, lurking in the “shaads of night” in Thee first foure bookes of Virgil his Aeneis (1582), rounds things off by pinching Golding’s “snakes blacke scaald” for his own “black scaalde serpents.” For about twenty years, the long aa appeared to be a marker of poetic dialect in prestigious translations from the classics. Does Oxford ever use aa? He does: but for a different set of words entirely. Whyte Haale [=Hall] is one such spelling; also, caale, Cornwaale, faale, smaale. (For Golding, the whole point of aa is to replace the silent e. Oxford, ever clumsy with language, uses both.) The outlier here is Waales (as in Prince of). Evidently, “Wales” and “walls” sound alike to him. “Sale,” in his orthography, is sall. The older man spells call, fall, small exactly like that, and "caul" is likewise call. Shakespeare puns on “all” (not “ale”) and cobber’s “awl.” He consistently has Wales and either Corn[e]wal[l]or Corn[e]wel[l]: clearly distinct. But for Oxford, “hall” and “hail,” “brawl” and “Braille” would be homonyms. 20 In his English Pronunciation, 1500-1700, E. J. Dobson, calls “the rhymes all : frail, small : fail ... a clear vulgarism” (111). He observes that Gil notes this use of long a for aw as an affectation of his Essex Mopseys; that in 1596, the Essex-born Edmund Coote, who taught schoolboys in Suffolk, describes it as “the barbarous speech of your country people” (Dobson §104). Tsk. Oxford Essex Golding Essex Shakesp. Warks. “Defaced, patched, mard, and made a skorne.” He might be describing his nephew’s catholic tongue. Oxford’s idiolect, then, is something of a chimaera, a botch-up of disparate parts. “Leke” and "Whyte Haale" (pronounced “wheat hail”) arise from his Essex origins; “oft to” is a commonplace vulgarism; “enought” and “throught,” more unusual. Beyond that, one may note an inattentiveness to sound that seems almost neurological, perhaps a slight auditory processing disorder, for which concerned parents nowadays might have found him a therapist. Those who imagine that the stripling earl translated Ovid’s Metamorphoses himself must first of all explain why that book is not in his distinctive spelling, but in Golding’s. Other questions are beyond the compass of this paper. Why on earth would Golding—a man with a stern Calvinist conscience—copy out his nephew’s work and publish it, twice, under his own name? Why couldn’t an allegedly precocious Oxford have taken credit for so admired a work? Too scandalous? Nonsense. Ovid’s Metamorphoses was a set text in the grammar schools. Fourth-formers—boys of eleven and up—all over England were engaged in memorizing and translating this very text. Unbefitting his rank? The Queen herself, from childhood, had practiced the art of translation, though in manuscript. If the young earl’s title on a title page were a problem, he could have used initials or a pseudonym, or no name at all. And if the boy were so accomplished a Latinist, what on earth could have happened to the man? The Latin in his letters would would disgrace a Stratford ten-year-old. It isn't even his own original Latin, just a few common phrases. All he had to do was parrot them. Yet summum totale is about on the level of “il tante des mon plume.”22 Fyre [= fieri ] facias is a malapropism worthy of Dogberry. But why should the earl have excelled at Latin? He spent as much lesson time on penmanship and dancing, and (as far as Burghley records) he dropped it altogether at thirteen. Above all: if Oxford could write a book this lively and engaging—one that delighted and influenced Shakespeare—in his teens, whatever happened to that talent? Long after the Metamorphosis, the earl remained a grub. Why is his own acknowledged poetry so leaden? Why do his letters dribble and drone on? The nobleman wields English as a sow would a shovel. When his cult is not rhapsodic—Roger Stritmatter lauds “the breathtaking mellifluence of [his] early poems ... and the Ciceronian peal of his prose correspondence”—they excuse their hero’s faults: oh, the verses are just juvenilia; oh, the Cecils kept only the business letters. As indeed they are, if you count as business Oxford’s shrugging-off of Italy, his grudges and revenges, his snits and self-pity, and his callous unconcern for the welfare of his cast-off wife and daughters. (Shakespeare could have done something with that character. Perhaps he did, in Cloten.) As for the “juvenilia” the earl wrote in his twenties: by that age, Keats was dead. The nephew may have shared the dogged jogtrot of his prosody with Golding, but not his uncle’s love of words. A writer is a writer always. Someone who clomps across the ice on skates, hanging onto the rail, is not an Olympian: someone who sings off-key, unconscious of egregious sharps and flats, is not a diva, however dazzling the costume. Oxford, the Florence Foster Jenkins23 of Elizabethan writers, has no feeling for language, for the shape of sentences, the sound of words. Lovely penmanship. Shame about the writing. What the uncle and the nephew, “the lerned and the lout,” had in common was merely a provincial accent. Clearly Oxford spoke the English he had learned in childhood, from the household that surrounded him. He would have seen a great deal less of his father and his mother than of servants, but it is likely that the dissolute 16th earl spoke much as his retainers did, and the Countess like her brother Golding. By the time the boy’s warden, Sir Thomas Smith, got hold of him, it was too late: the accent was ingrained. "O for a moose of Vere..."
The poet and the earl are Stratford and Hedingham, genius and privilege, lyke and leke. They cannot be the same person. If Oxford had been Shakespeare, he’d have been heard by tens of thousands in his time. He would have formed the language as we know it. And we’d all have been using “satisfised” and “leekwheeze” and “oft to have wrott.” They would sound Shakespearean. —Crystal, David. 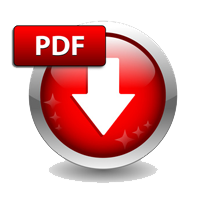 The Oxford Dictionary of Original Shakespearean Pronunciation. Oxford : Oxford University Press, 2016. —Dobson, E. J. (Eric John), English pronunciation 1500-1700. Oxford : Clarendon Press, 1968. —Gil, Alexander. 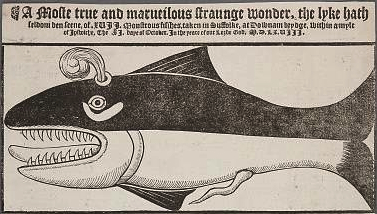 Logonomia anglica (1619). Ed. Bror Danielsson and Arvid Gabrielson. Stockholm : Almqvist & Wiksell, 1972. —Golding, Arthur. Arthur Golding's “A morall fabletalke” : an annotated edition. Ed. Nora Rooche Field. Doctoral dissertation, Columiba University, 1979. —Hart, John. John Hart’s Works on English Orthography and Pronunciation (1551, 1569, 1570), Ed. Bror Danielsson. Stockholm : Almqvist & Wiksell, 1955-63. 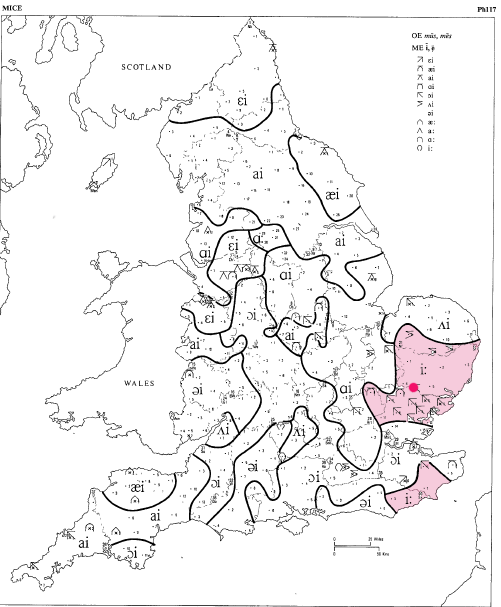 Ihalainen, Ossi, “The Dialects of England Since 1776.” The Cambridge History of the English Language. Vol. 5, English in Britain and Overseas: Origins and Development. Ed. Robert Burchfield. Cambridge [England] : Cambridge University Press, 1994. Ioppolo, Grace, “Early Modern Handwriting.” A New Companion to English Renaissance Literature and Culture. Ed.Michael Hattaway. Chichester ; Malden (Mass.) : Wiley-Blackwell, 2010. Kökeritz, Helge, Shakespeare's pronunciation. New Haven: Yale University Press, [1974, c1953]. —Lass, Roger, ed. The Cambridge History of the English Language. Vol. 3: 1446-1776. Ed. Roger Lass. Cambridge [England] : Cambridge University Press, 2008. —Nelson, Alan, Monstrous Adversary: The Life of Edward de Vere, 17th Earl of Oxford. Liverpool : Liverpool University Press, 2003. —Orton, Harold, et al. The linguistic atlas of England. London : Croom Helm, 1978. —Ovid, Ovid’s Metamorphoses : translated by Arthur Golding. Ed. Madeleine Forey. London ; New York : Penguin, 2002. —Ovid, The. xv. bookes of P. Ouidius Naso, entytuled Metamorphosis, translated oute of Latin into English meeter, by Arthur Golding Gentleman, a worke very pleasaunt and delectable. Imprynted at London: By Willyam Seres, . Online at http://name.umdl.umich.edu/A08649.0001.001. —Price, Owen. The Vocal Organ, or, A new Art of teaching the English Orthographie. Oxford : Printed by William Hall, for Amos Curteyne, 1665. —Smith, Thomas, Sir, Literary and linguistic works (1542, 1549, 1568). pt. 2. A critical edition of De recta et emendata linguae Graecae pronuntiatione (Lutetiae 1568). Ed. Bror Danielsson. Stockholm : Almqvist & Wiksell, 1978. —Smith, Thomas, Sir, Literary and linguistic works (1542, 1549, 1568). pt. 3. A critical edition of De recta et emendata linguae Anglicae scriptione, dialogue (Lutetiae 1568). Ed. Bror Danielsson. Stockholm : Almqvist & Wiksell, 1983. —Wilson, J. Dover, “Bibliographical links between the three pages and the good quartos.” Shakespeare's Hand in the Play of Sir Thomas More. Ed. Alfed W. Pollard. Cambridge [England] : University Press, 1923. —Zincke, F. Barham. Some Materials for the History of Wherstead. Ipswich : Read & Barratt, 1887. Fragment of an 18c verse anothology discovered in the University Library, Cambridge.